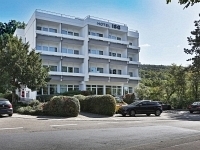 Our hotel is located in the Heidelberg-Boxberg district next to the "Odenwald" forest. 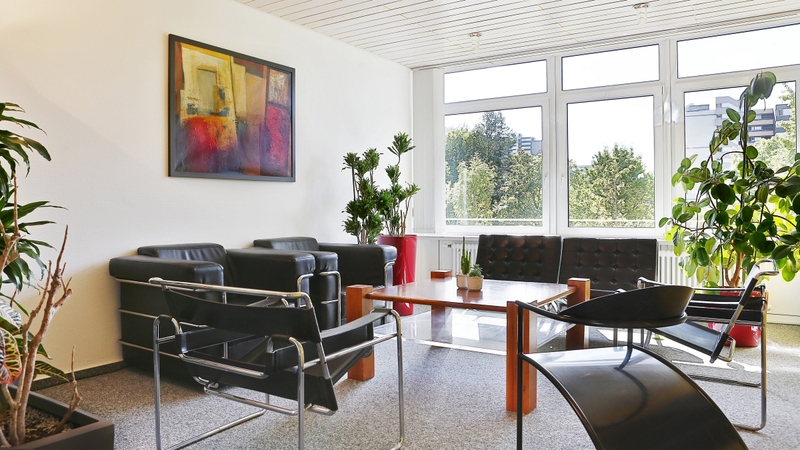 The ISG Hotel and it's rooms are mostly furnished in the Bauhaus style with popular art of the Bauhaus artists. The Bauhaus style was created by the architect Walter Gropius in 1919 and influenced the design of as different areas as architecture, paintings, textiles, photography, furniture and everyday items. Clear lines, high functionality and the use of the solid colours red, blue and yellow are characteristic of this style. Our hotel aims to integrate art and work. Not only is a stay with us enjoyable, it also enables you to experience this trend in art in your surroundings. 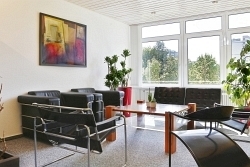 The Hotel ISG has belonged to the renowned European Molecular Biology Laboratory (EMBL) in Heidelberg for 35 years. Due to the timeless charm of its furnishing and to the personal service, the hotel is very popular with EMBL visitors, business people and tourists. The hotel is modernised on a regular basis but has not lost its original charm of family and tradition. Check the offers in our bistro!